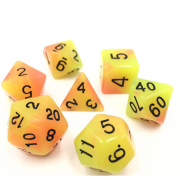 7 pcs Polyhedral Glow in the dark Dice Set for Board Games such as Dungeons and Dragons, RPG Games and Magic the Gathering., etc. 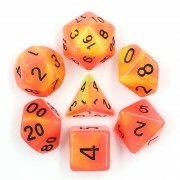 Size: D4.16mm, D6, 16mm, D8. 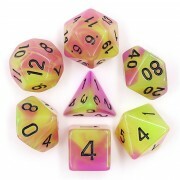 16mm, D10. 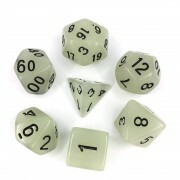 16mm, D12, 18mm, D20. 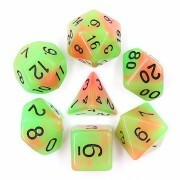 20mm The Material is acrylic. 7 pcs/set, 1 set/small bag .. Size: D4. 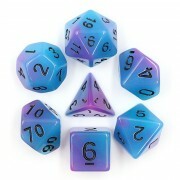 16mm ,D6 16mm ,D8.16mm ,D10.16mm,D12.18mm ,D20.20mm The material is Acrylic. 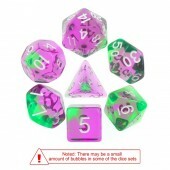 7units/set.1sets/small bag ..